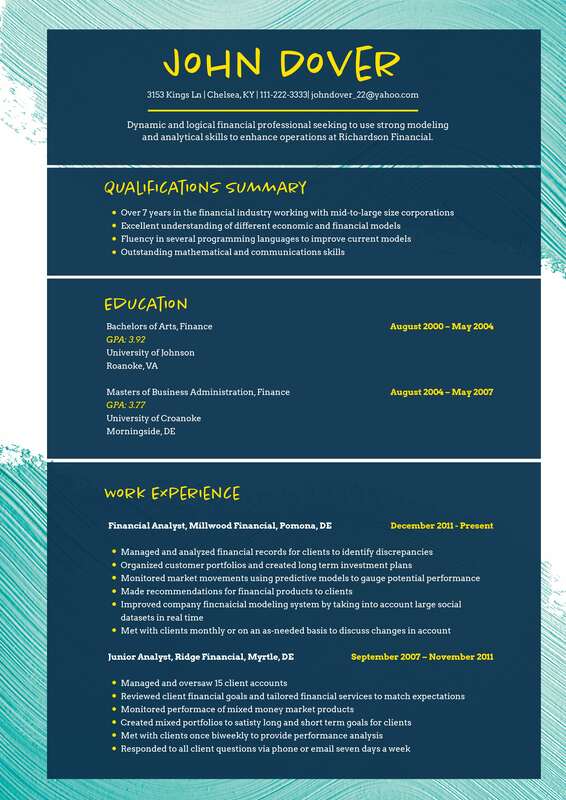 What are those effective and highly sellable resume titles to use when applying for jobs? For sure, you don’t want to make only a resume, but one that will market and eventually sell your value proposition to the employer. It all begins with the title of your resume, one of the first things that an employer sees and reads in your application. You must have experienced this thing where the title of the article says one thing, but the article itself have nothing to do with it. Yeah, annoying isn’t it? Unfortunately, such things happen in resumes as well. You should consider resume titles as a summary of your resume, so keep it short and straight to the point. It is your first shot to make it really good for your job application, so do not miss this chance. To start with, check out the following for tips and best job resume title to use for an amazing resume! Be specific. Highlight specific knowledge, skills and experience. Use a specific title and avoid vague titles. Read and see your title for resume from the perspective of the manager so that you can determine if it’s compelling and sufficient in capturing his attention. Avoid stating the obvious. Don’t say, “Looking for a job…” –This is downright non-sense. You are applying because you need a job that is why you are sending this resume, right? Think of your best selling point and use it. What specific part of your qualification do you think stands out? You don’t need to include all, but what you have to include is what you think the employer wants to know right off the bat. For instance, highlight how many years have you been experienced in the field as well as what makes you effective in that particular job in your title for resume. You may also include certifications and licenses as well as other things that you think make you different from your competition. Check out the job posting, review it and use the most descriptive title in your resume, all based in the job requirements. This will give the employer an immediate picture of what you can offer and how you can fulfill the position. You can make use of top resume portals when finding examples on how they do with the title of resumes they upload of their sites. You can write a more compelling resume title using these sites where there are resume samples created by top resume writers themselves. There you have the best resume titles to use when coming up with your next application resume. Follow and apply them as you deem needed to make your application stand out. Finally, learn more about resume titles today!